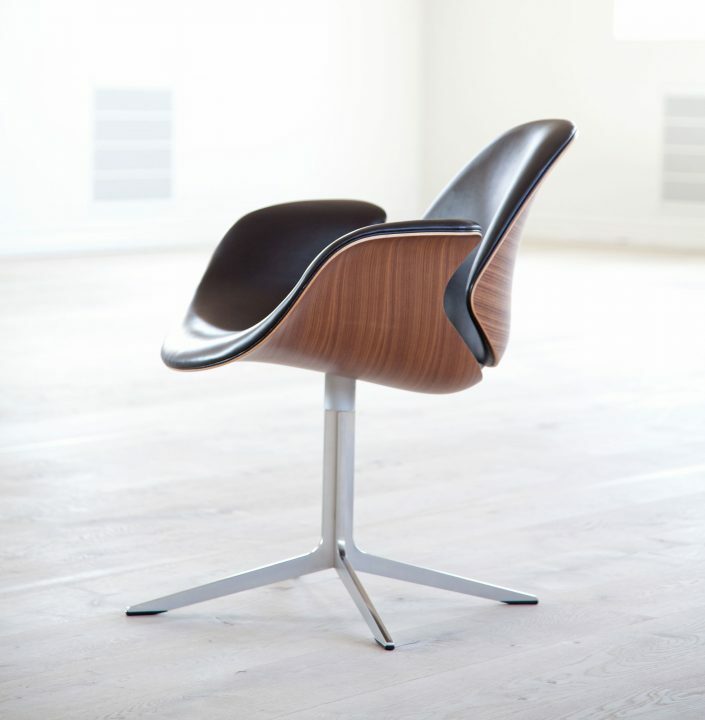 The Council Lounge Chair is a lower and slightly reclined version of the original Council Chair. 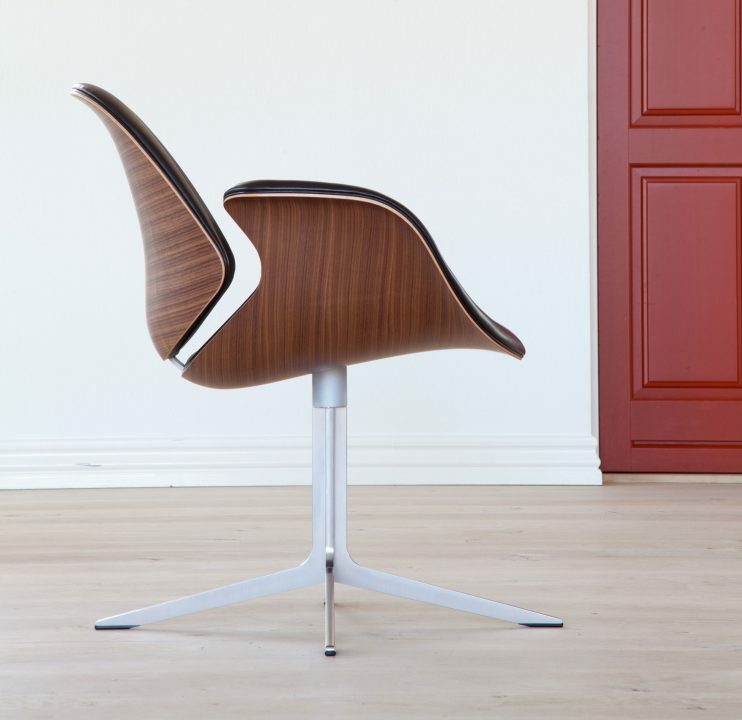 The Council Chair was designed in 2011 by Kasper Salto and Thomas Sigsgaard for the Trusteeship Council Chamber at the U.N. Headquarters in New York. The chair offers great seating comfort and is designed for lounge or reception areas as well as informal conferences. 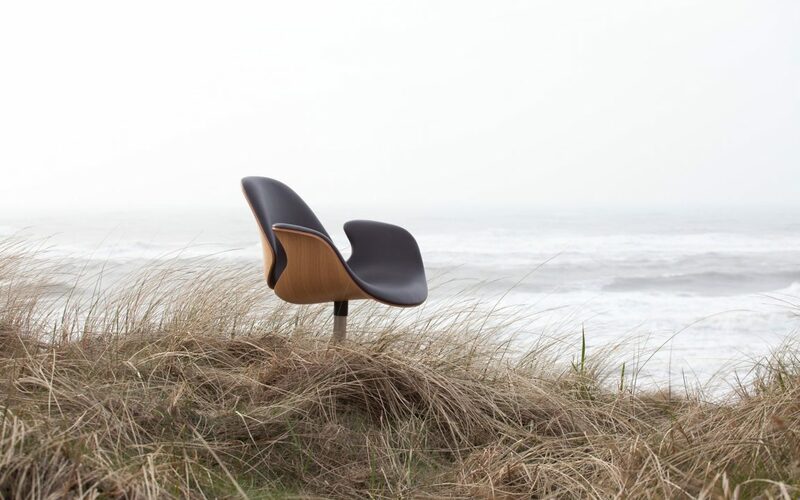 The sculptural shape is made in form-pressed patented 3D veneer in oak or walnut with upholstery in fabric or leather. The chair can also be ordered fully upholstered. The swivel base of the chair is cast aluminium with a polished finish. The Council Chair is part of a campaign where Onecollection gives a donation to the organization LittleBigHelp for every chair that is sold worldwide. LittleBigHelp is an NGO that works towards improving living conditions for some of the most vulnerable women and children in West Bengal, India. Back and seat: 3D veneer w/ upholstered inside. Legs: Cast, polished aluminium incl. swivel. Back and seat: 3D veneer, fully upholstered.